Barcelona full-back Jordi Alba does not intend to extend his stay at the Camp Nou and Manchester City could now table a bid for his services. According to Don Balon, the Spanish giants had been hoping to tie the 29-year-old down to a new contract in the coming weeks, but the player has stalled the negotiations. Alba has reportedly grown frustrated during discussions, as his salary expectations are not likely to be met by the club and he may now seek a move away from Catalonia. 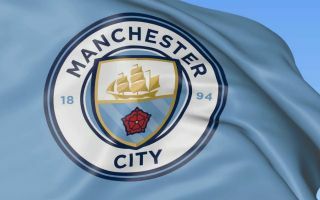 Don Balon states that Man City are looking for left-sided defensive reinforcements, with only Benjamin Mendy on their books as a natural fit in that position, who is currently sidelined with a knee injury. City boss Guardiola left Barca back in 2012, just before Alba arrived at the Camp Nou, but he did suggest the Spaniard to the club’s hierarchy before he departed, having been impressed with his displays for Valencia. Should the pair finally link up at the Etihad next year it would represent a huge coup for City, as they continue their bid to dominate English football and conquer the Champions League. Alba has enjoyed six stellar years with Barca, winning four La Liga titles and the 2015 European Cup, ever present in the defence and also providing the team with much-needed width going forward. The Spain international is on course for more major honours with the Blaugrana this term, as they once again sit top of La Liga and look set for a run to the latter stages of the Champions League, but at the moment his future is very unclear. Alba’s current deal at Barcelona is due to expire in 2020 and if the club are unwilling to offer a suitable package as part of an extension then he might be forced to look elsewhere. Alba might relish the chance to prove himself in the Premier League and Guardiola favours a fluid, slick passing style which is perfect for his game, meaning he could slot into the City starting XI seamlessly if he does indeed decide on a switch in 2019.